Harry Hunt is a commercial fisherman from Cape Cod who found his way to Panamá in 2004. He was one of the early birds discovering beautiful Boquete in Panama. 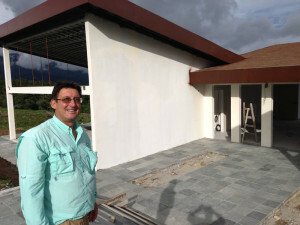 He is owner of OwnBoquete.com Real Estate and various other companies, including Cerro Verde Boquete and owner of various properties in Puerto Armuelles in the Chiriquí District of Panamá. Harry sells real estate such as homes, lots and other properties and also has various rentals available listed on this website. As of October 2013 Harry also started constructed a beautiful house on the project Cerro Verde Boquete, a residential subdivision property.